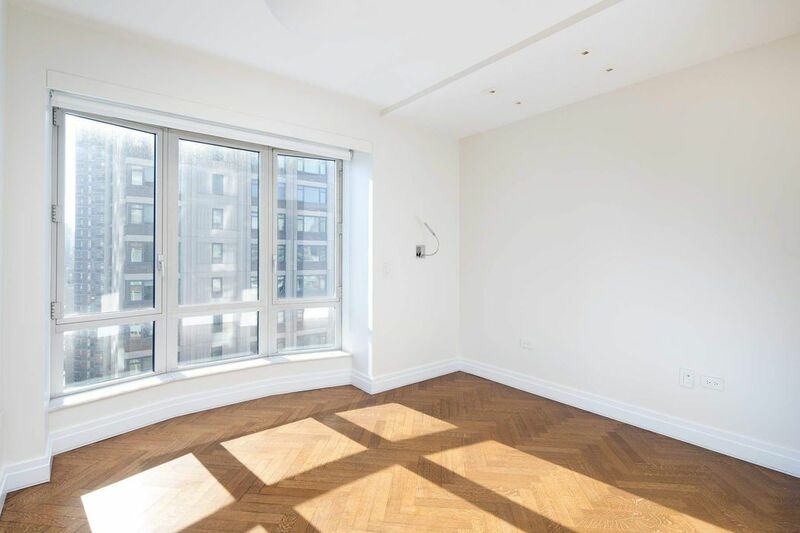 181 East 65th Street, 17D New York, NY 10065 | Sotheby's International Realty, Inc. 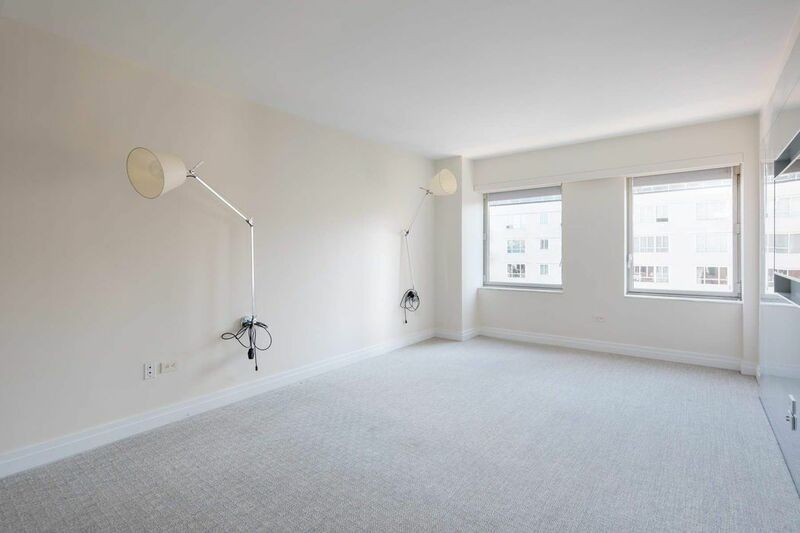 The true essence of upscale city living is beautifully reflected in this exquisitely renovated 2 bedroom 2.5 bathroom apartment at the Chatham. 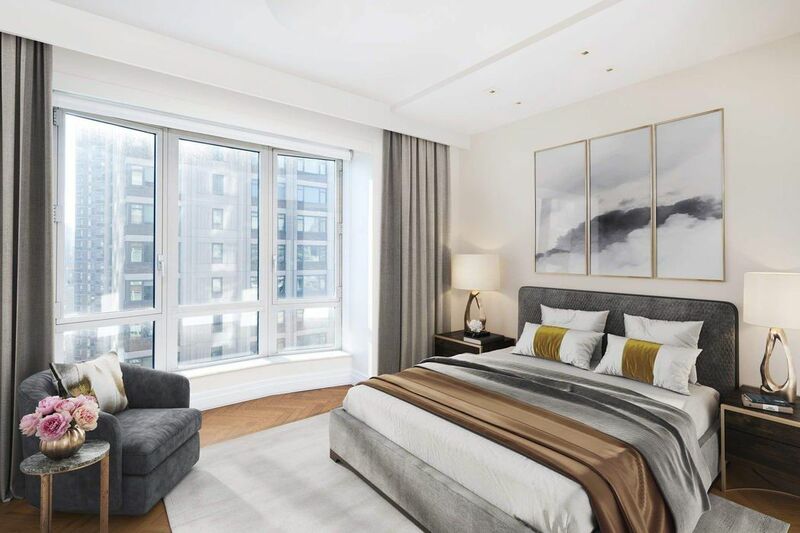 Oversized windows facing south and east including 2 wonderful bay windows invite in generous natural light all day and showcase spectacular city views. 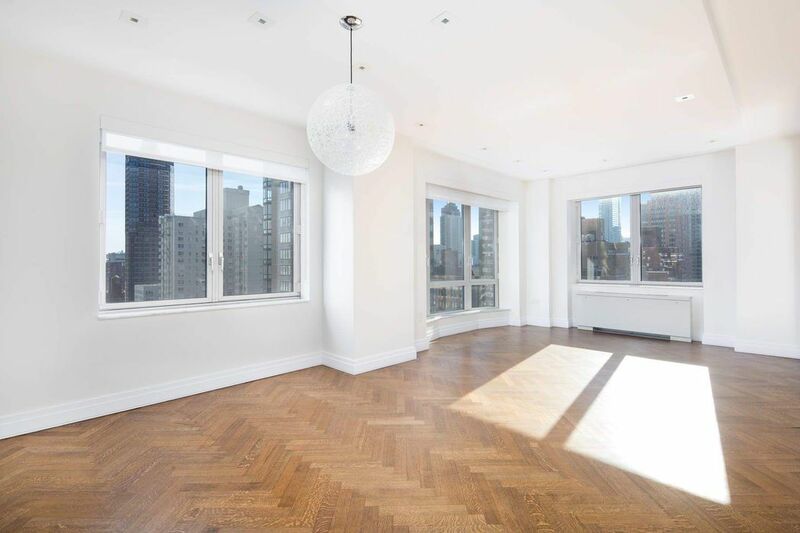 Airy 9’ ceilings, skim-coated walls, custom millwork, polished herringbone hardwood floors, sleek recessed lighting and other top-of-the-line appointments grace the luxurious ambience of this Upper East Side gem. A gracious foyer with a powder room, laundry with full-size washer/dryer and huge closet welcomes you into a truly spectacular home. Awaiting beyond the entryway for your entertaining pleasure is a spacious living and dining room with a backdrop of stunning cityscapes. 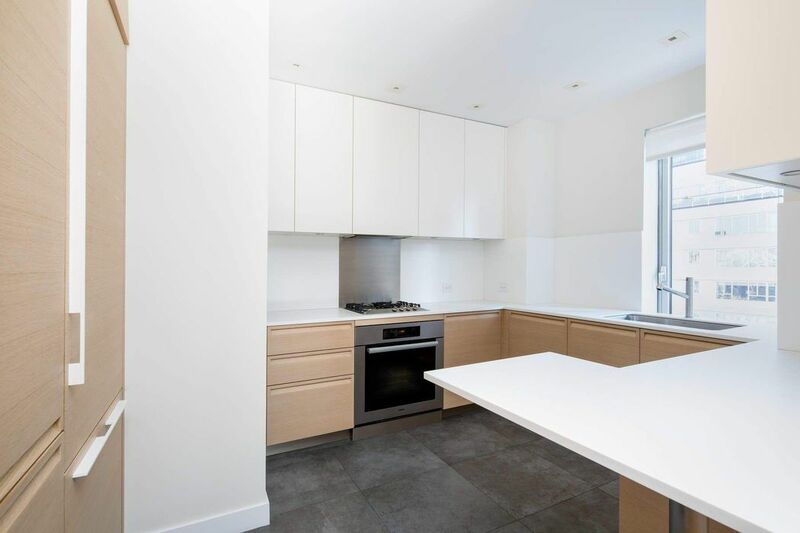 The sleek windowed gourmet kitchen is distinguished by a modern open-plan design yet is separated just enough so the cook has ample room to prepare. 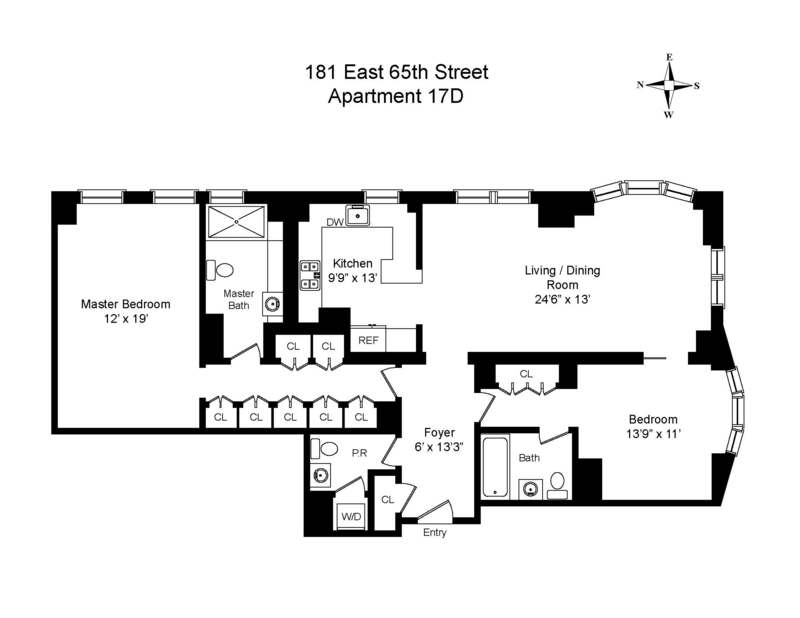 Custom Poliform cabinets, Miele appliances, a breakfast bar and pantry suit the style and needs of the most discerning chef. 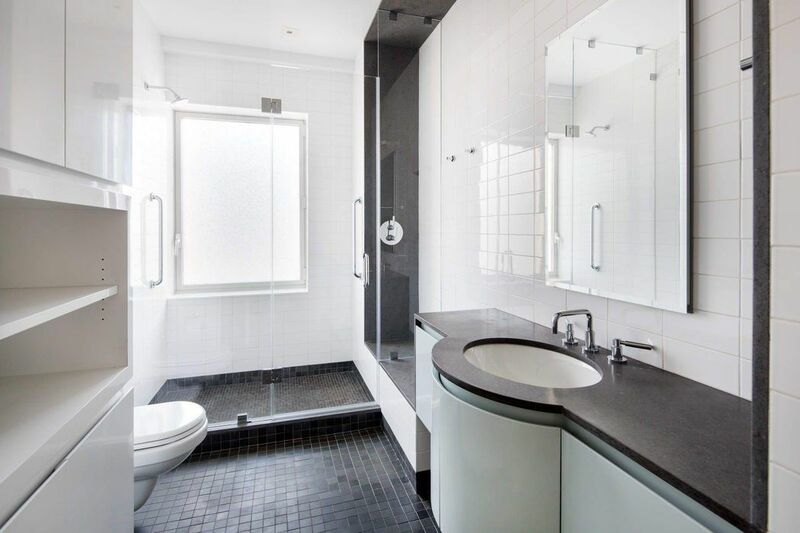 Accessible through pocket doors off the living area is a bedroom featuring an en-suite bath and 2 custom closets. 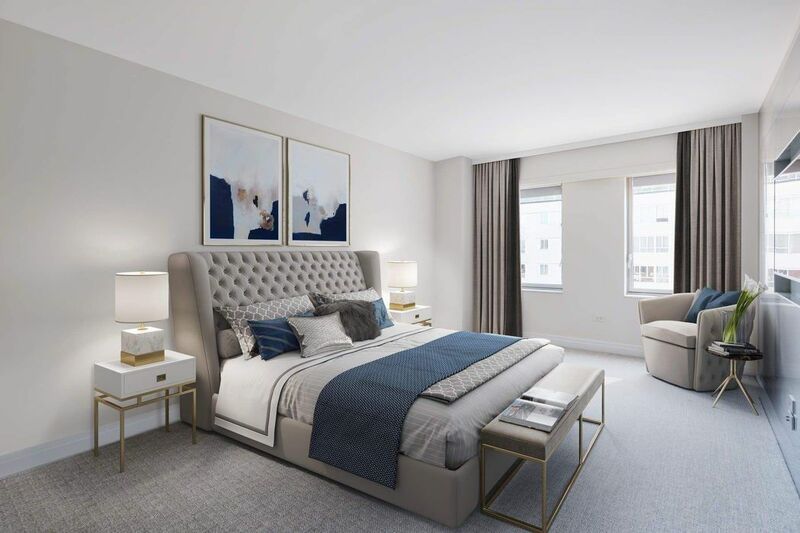 Set privately at the opposite end of the residence is the sumptuous master suite graced by 7 phenomenal custom Poliform closets, and a beautiful spa-inspired windowed bath. 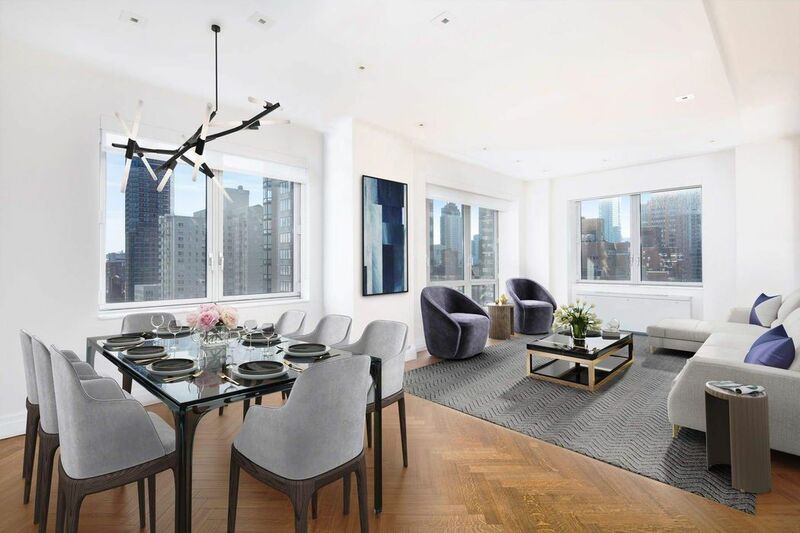 The full-service Chatham designed by the renowned architect Robert A. M. Stern is one of Manhattan’s most prestigious, sought-after condo buildings. 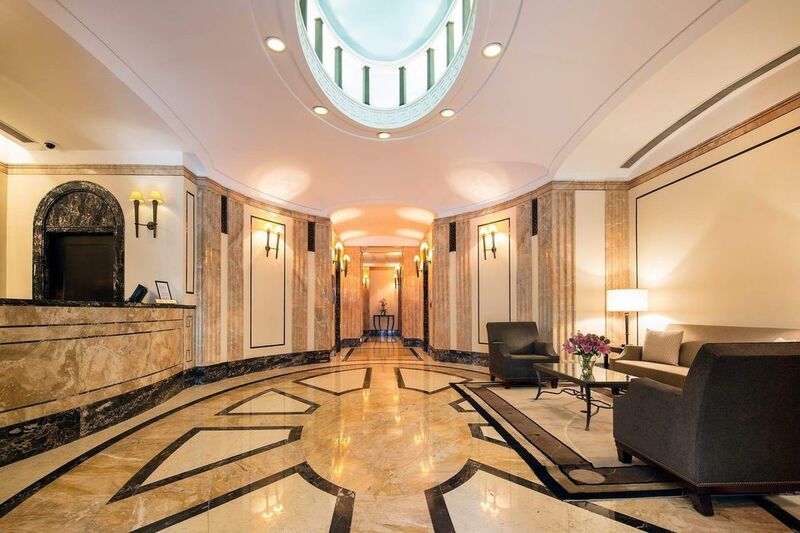 Residents enjoy white-glove service with a full-time doorman, concierge, staff and resident manager. 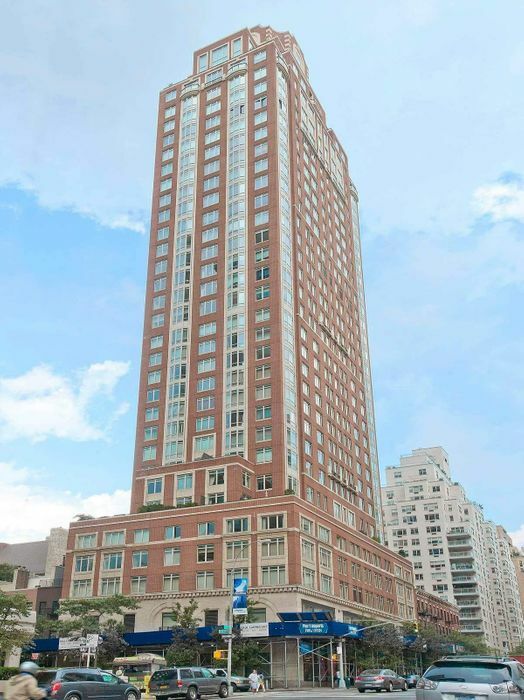 Other premier amenities include an Equinox fitness center and spa, and parking garage with valet. 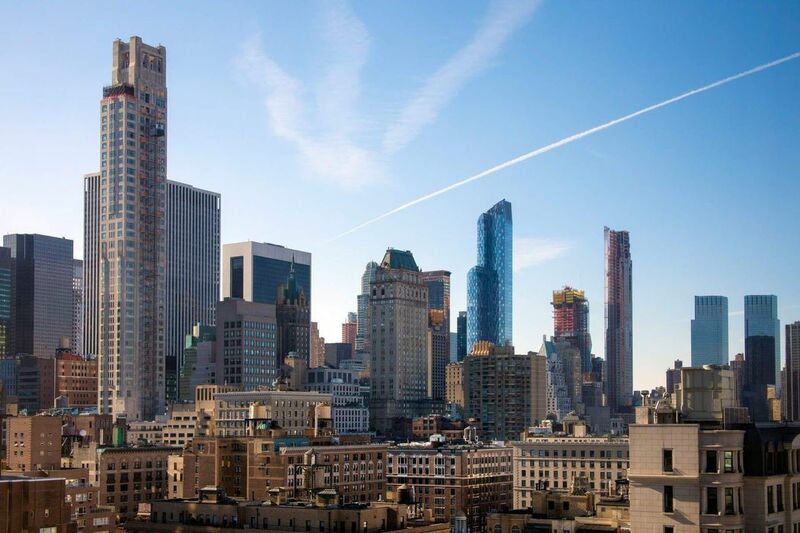 The location is exceptional, just 3 blocks from Central Park, minutes from world-class museums, acclaimed restaurants and glamorous Madison/Fifth Avenue shopping. 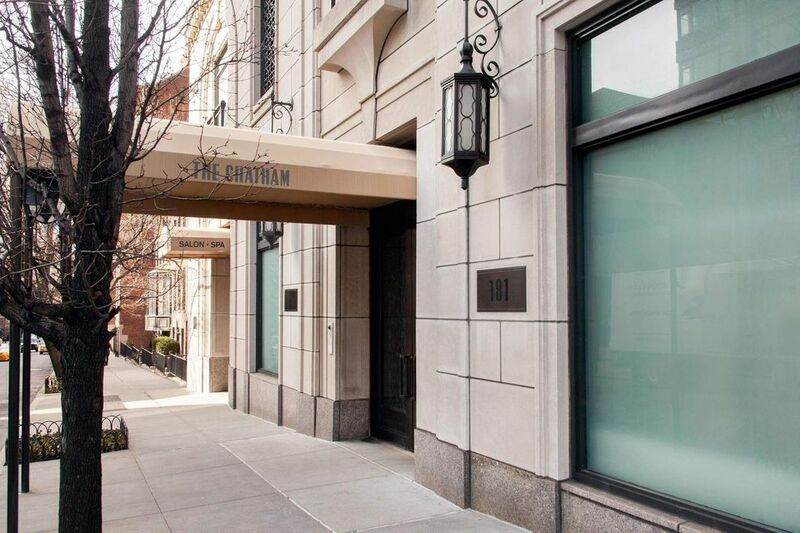 The Chatham is also pet-friendly and convenient to all transportation. Sorry, no pets.